Taking the family beyond the backyard for a trip into the great outdoors doesn't mean just going to the park or to the beach! Few activities can match a real nature trek—the forest air, pristine landscapes, majestic vistas all compound that incredible sense of achievement once an adventure our to a walking trail comes to a close. In Australia, we're spoiled for choice of beautiful trails; gather the family for an active holiday experience that’s right on our doorstep. 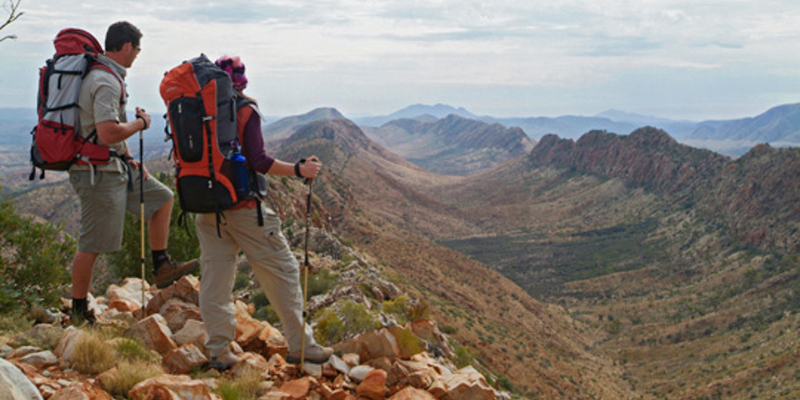 The famed Larapinta Trail stretches for an incredible 223 km across the West MacDonnell National Park in the Northern Territory, and it's broken up into 12 different sections. From 1-day walks right through to a challenging 16-day itinerary, this trail is ideal for beginners right through to experienced trekkers. If you’re after iconic Australian red landscapes and rocky, bushland-spotted terrain, then this is the walk for you. The Overland Track in Tasmania features breathtaking scenery—ranging from snow-capped mountains to lush rainforest, winding rivers and golden alpine meadows. It reflects the vastness of Australia’s natural landscapes. You can complete the 65km trek in about 6 days, finishing at Australia’s deepest lake, Lake St Clair. Opt for a easy 2-3 hour short walk, or hit the tracks for anywhere from 1 to 8 days. Short but sweet, this walk is a fantastic option for families with little ones and only a little time. 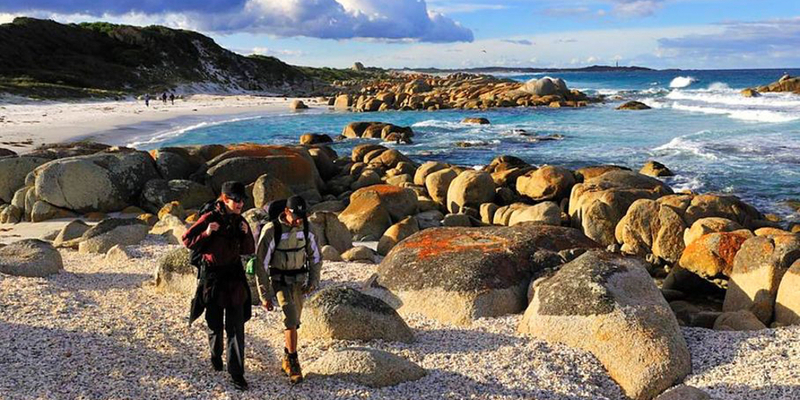 This guided trek is an awe-inspiring collection of coastal trails that wind along the edge of Mt William National Park. The walks consist of no more than 10 people, ensuring an intimate hiking experience where you can feel truly at one with Tasmania’s most pristine of environments. Trekkers enjoy eco-luxury accommodation throughout the 4-day expedition, creating a truly once-in-a-lifetime holiday experience. We’d love to hear about your family hiking expeditions! Are there any particularly memorable trails that you have trekked?